Going with Cubbyhole Photo Booth Rental for our wedding is a decision I was very happy I made. It was definitely a hit with our guests! Both family and friends loved this and everyone had a blast with it. We all had fun and the pictures were hilarious! And my favorite part is the scrapbook they made for us to collect all of these pictures together. We had gold pineapples as part of our wedding theme and they included pineapples in the scrapbook - how thoughtful! Not to mention, adding a photo booth was a last minute decision for us and it was no problem whatsoever. Scott was extremely helpful and made sure everything went smoothly - I didn't have to worry about anything! (Which was great for me, as a bride getting down to the wire!) The whole process was quick, easy, and completely stress-free. So much fun and definitely worth it! I found scott through my friends wedding that I was in. He did a amazing job costumer service wise and photographer wise. I hired him for my wedding and he did a excellent job with my photos. I'am so happy I found him theough my friend. He made my pictures look amazing and they turned out great. I highly recommend scott for any event. He is very professional and he keeps the costumers in mind. Scott is amazing!!! I used Scott for my wedding, my mother in law's 50th Birthday Party and I referred him to my best friend and she used him for her wedding. He was wonderful, professional, helpful and contributed to our memories. The scrapbook they made from the photobooth is an awesome keepsake, and everyone at all the parties had a blast taking pictures and it's more than your traditional party favor. He's really quick to respond and does everything he can to meet all your needs for the party. 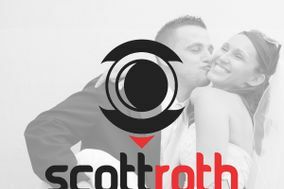 I plan to use Scott Roth Events and Photography at our future events and I highly recommend him. You won't be sorry! Everyone at the wedding LOVED the photobooth. We wanted something simple and elegant. Black and white 4x6s that looked like formal portraits with no wedding logo and no props. Scott executed them perfectly. It was such an amazing and memorable addition to our wedding. All the guests have been calling for days saying how amazing the photos were and how they are framing them. So glad to capture all these extra memories on our special day. Scott Roth entertainment did a great job for a reasonable price. My guests really enjoyed working with Scott Roth. I hired Scott for a corporate event. It was an Oktoberfest theme for three hours and we needed someone to take photos of decor, candids of guests, as well as some specific shots of a brief presentation. I found Scott online and he was very responsive, flexible, and well-priced for what I needed (and what the client's budget was). After the event, images were promptly uploaded to a website which the client could access and download images at no additional cost. Scott Roth has the best quality photos for a photo booth. We loved the album he created for us. All our guests had a blast going into the photo booth. We had a wonderful experience having Scott at our recent wedding reception . He was a delight to work with as a professional photographer , capturing all the highlights of our affair! Our guests were captivated by his props and photo booth. We highly recommend Scott to bring his talents to your next party!!! His friendly service to being there every step of the way. Being so easy to deal with and all the guests loved him. He captured all the most important funny sweet moments Of our day. We couldn't be happier or have expected any more. He is 10 star not 5!!!!!! Check out his Facebook my venue is on his page. Karen n John 10/19/14 at the Venetian. Magical shots! My fav is my husband and i in front of the big staircase and he is dipping me backwards. I swear it looks like a magazine cover!!! Scott Roth is an outstanding photographer. His eye for the perfect second is uncanny. Scott was professional, polite, innovative, and quick to action. We are so impressed by his work and we highly recommend him. Scott was wonderful and captured our perfect day in a way that we will remember forever! Thank you for everything you did for us during the wedding and leading up to it. We would recommend you to everyone! Scott made our NY Wedding such a memorable event. The photo booth exceeded my expectations and his warm and inviting demeanor made everyone comfortable. I look forward to booking more events with Scott Roth in the future. Thank you Scott! The best part is the photo album was ready by the end of the reception! Would recommend to anyones5 wedding! My wife and I originally found Scott while looking for Photobooths. We wanted a classic Arcade model (both for space in a small venue and because we thought they were cooler), which he offered. We were also in need of a photographer and when Scott mentioned he did that as well, we decided to meet and have a look at his work. He hadn't done a lot of weddings at that point, but he made us both feel comfortable and his portfolio was very good, so we decided to take a chance on him. Boy are we glad we did. First, the Photobooth: it was awesome. Exactly what we wanted and everyone had a blast with it. We gave the photos away as favors and people really loved it (my boss used it twice!). Second, and more important in the grand scheme of things, are the photographs. They are fantastic, and exactly the level of quality you'd expected from a high-end professional photographer except Scott is much, much, much more reasonably priced. My wife and I don't take ourselves too seriously and he managed to find the perfect balance of poignant, beautiful shots and fun, good time ones. He took all of our requests in stride, was accommodating, and pretty much got every shot that we asked for. He also has a great sense of humor and keeps a low-profile on what can be (but thankfully for us wasn't) a stressful day. If that weren't enough, he even brought along a second photographer for free! He went above and beyond for us and I have absolutely no reservations on highly recommending him for your special day. Our pictures are amazing, and thanks to Scott, we'll always have some wonderful photos on hand to remember our special day by. Scott is awesome! he ran the photobooth at our wedding. everyone loved it! I can honestly say that this was one of the highlights of our wedding. I am more than happy that we chose to have a photobooth. photos came out great and they even made us a scrapbook of the night. if you are thinking about getting a photobooth, go with them. you will not be disappointed! The photobooth was a huge hit at my wedding!!! My husband are I are still cracking up at the pictures in the scrapbook. The props are awesome and it says your name and wedding date on the bottom of the pictures. Monique and Paul were great to work with! Would definitely recommend. Not only did Scott come out to our wedding himself, but he also made us a wonderful scrapbook that we will cherish forever! Our family and friends loved the Photo Booth, not only were the props fun he let us go up there as many times as we wanted. The photo Booth was the hit of our wedding and our guests are still talking about it! Thank you Scott! We will definitely be using you again, and I know a few brides that are definitely going to use Scott Roth Events! We rented a photo booth from Scott Roth Events and it was great!! The staff was super friendly and managed the line very well. They created a great scrapbook for us onsite. The prices were very reasonable and the booth was a lot of fun. Our guests loved it and kept going back for more pictures. Totally worth it!! The photobooth was great, everyone loved it and enjoyed the props as well!! The staff was nice and friendly and they did a great job on the Scrapbook(everyone loved that also). I would recommend Scott Roth to anyone looking for a photobooth, you will not be disappointedt!! I used this vendor after a friend of mine used them for their wedding. They do so much more than just take photo booth pictures. They customized a scrapbook with all the photos for us. It's great to look back on! EXCELLENT! Had it for our daughter's Bat Mitzvah and it was the hit of the party. Everyone had a lot of fun, the scrap book was great and all our guests were all compliments. Highly recommend. The most fun feature ever. Highly recommend. Had it for son's bar mitzvah. Service was great. Scrapbook was awesome. Just the fact that Scott Roth Events made it to the wedding was wonderful...during Hurricane Irene!! Everyone loved the photo booth. The attendants were great...even with some over enthusiastic gueats. The book was fabulous...so much better than a guest sign in book!! Very professional. Could not have been happier with their service. We were having so much fun, that we extended our reception an extra hour. Without even being asked, they too stayed the extra hour with no extra charge. Fabulous company with fabulous people. Everyone loved the photo booth!!!! !